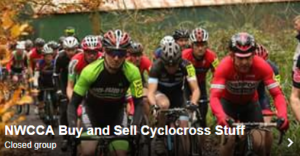 Red Rose Olympic Cycling Club will be delivering the first round of this year’s North West Cyclo-Cross season at Hoghton Tower, Preston, in what was last year a very popular venue. 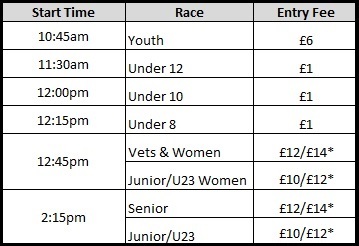 The continental indoor barn section will be there again doubling up as sign on with the course going through the barn following a short cobbled climb. The course will be much the same layout but will be extended to increase lap times. The start will take place in a larger area in the bottom field. Car parking is in the same place with a £2 fee being charged per car by the venue. There will be the usual stalls including hot and cold drinks plus the hog roast. The course will be built on Friday 11th of September. If you would like to help out with the build and get the chance to check out the course the venue will be open for course building from 2.00pm. The venue staff will collect parking fees of £2 per vehicle. Parking is on a hard surface but not suitable for larger motorhomes. Please also park as close as possible to other vehicles as space is limited. Please do not park on the tarmac drive or grass banking either side of the drive. There will be a single lane 2 way entry and exit system to the car park so please assist the car park volunteers who will direct you. To show the league supports this magnificent grade 1 listed gem (and to ensure we can use the venue for years to come) all adult racers will be asked to contribute £1 to the ongoing restoration and conservation work. There will also be refreshments served in the barn for those who want to stay close to the action.